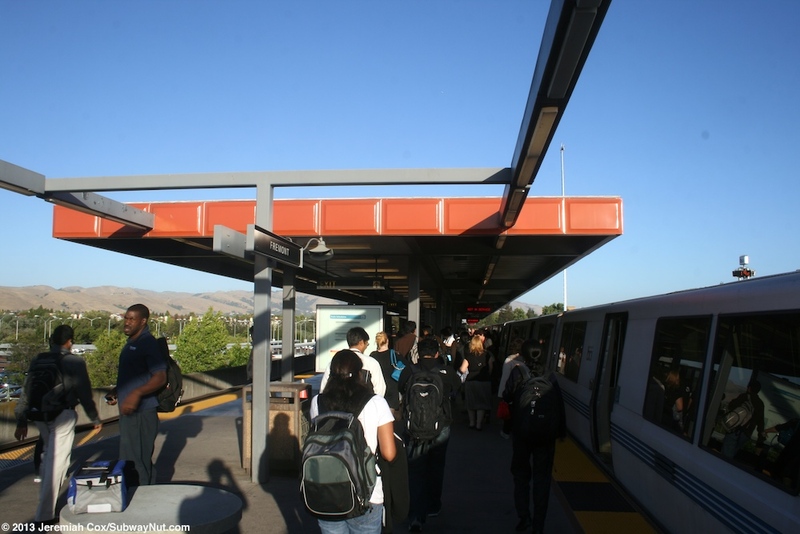 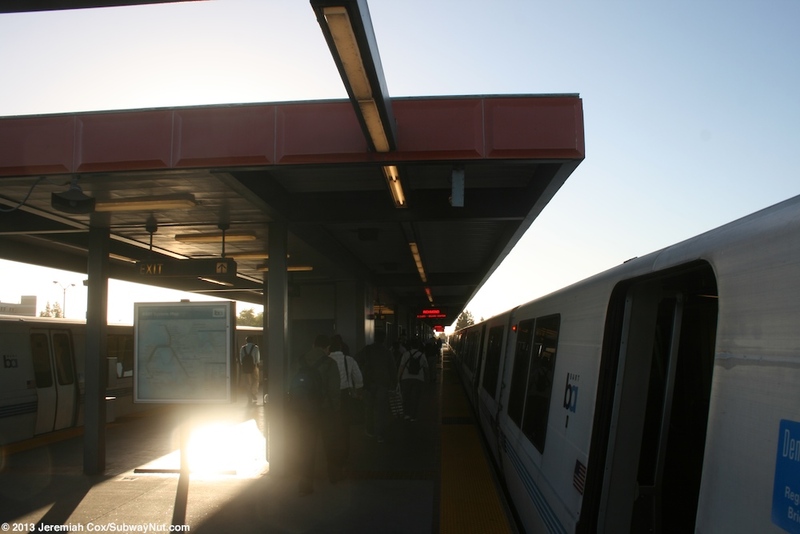 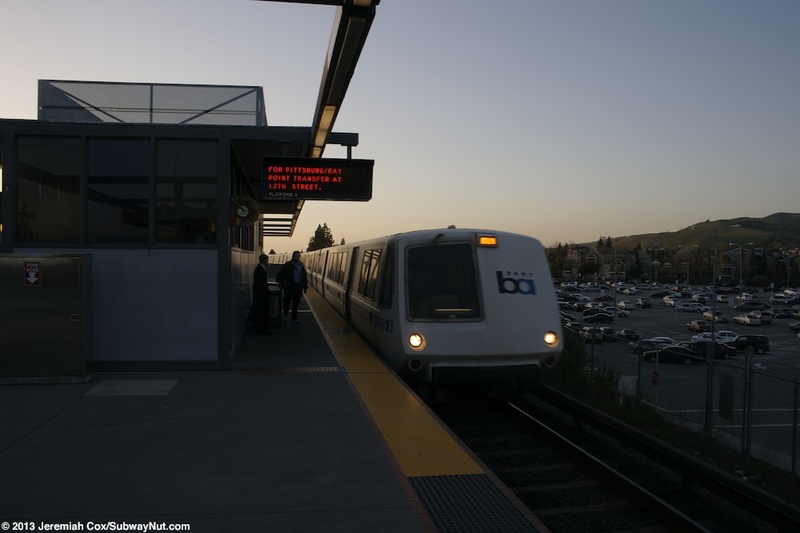 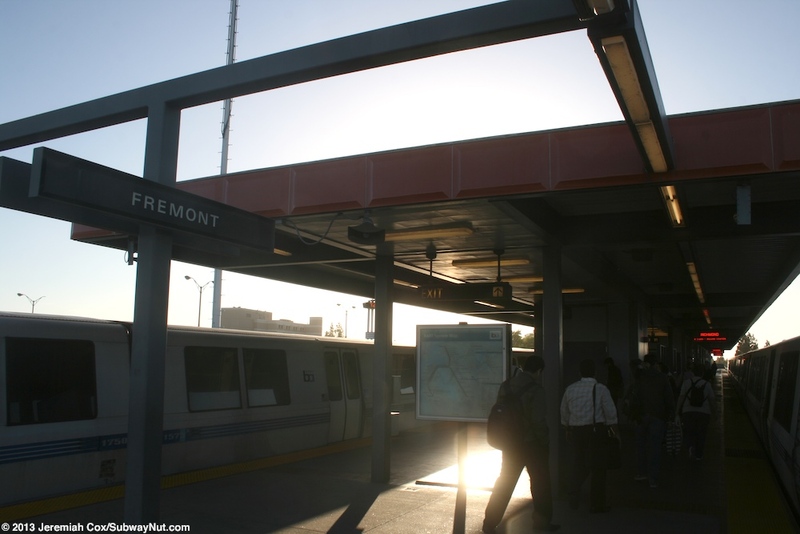 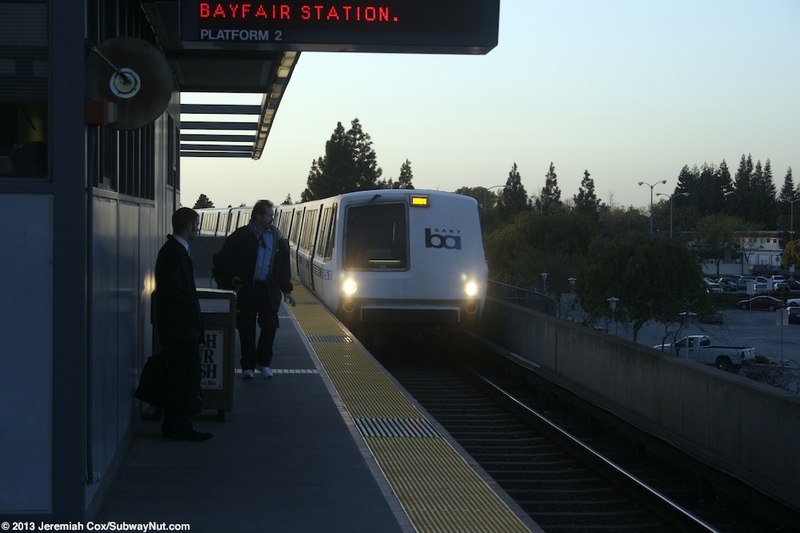 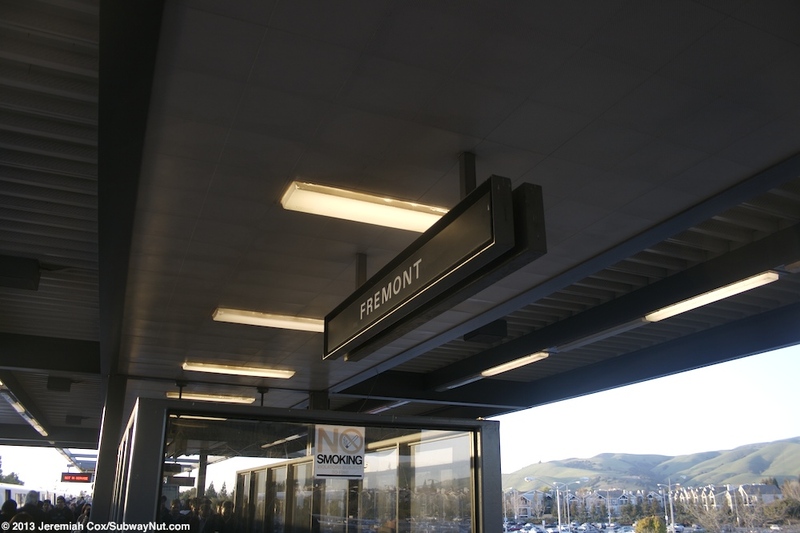 Fremont is the southern terminus (for now) of BART and opened with the original line on September 11, 1972. 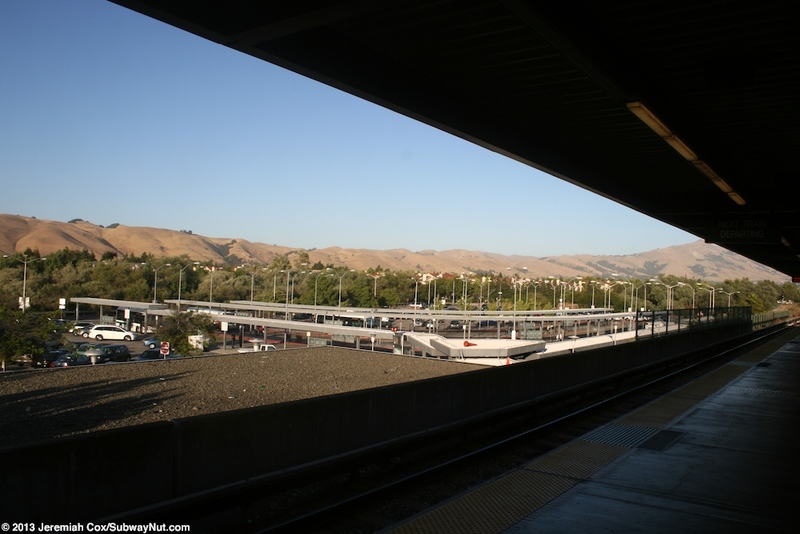 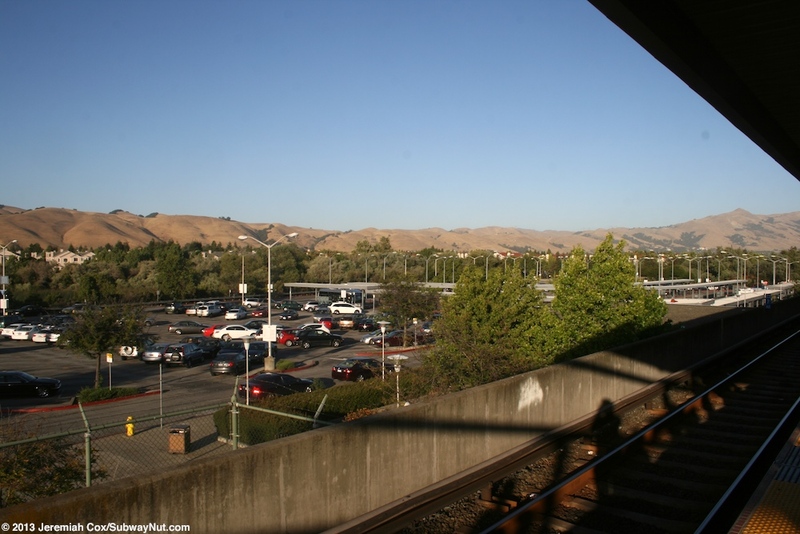 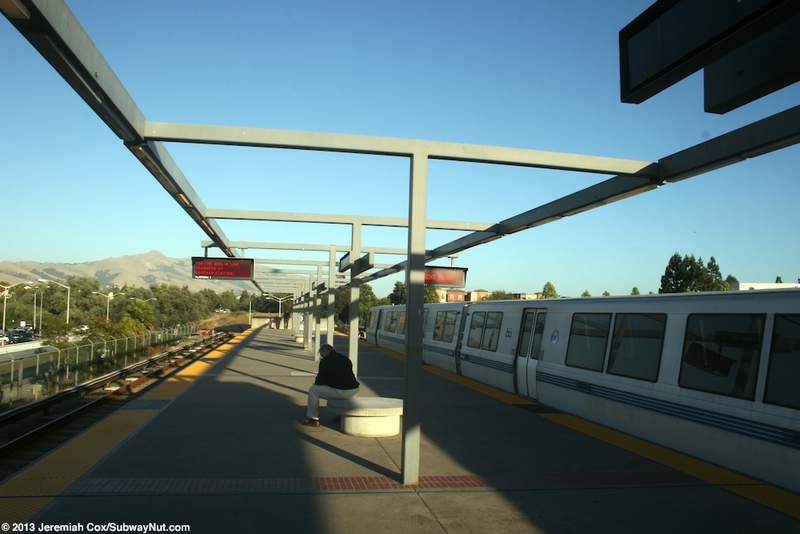 An extension south of the station to Warm Springs should open in 2015, and eventually the goal is to continue south to San Jose. 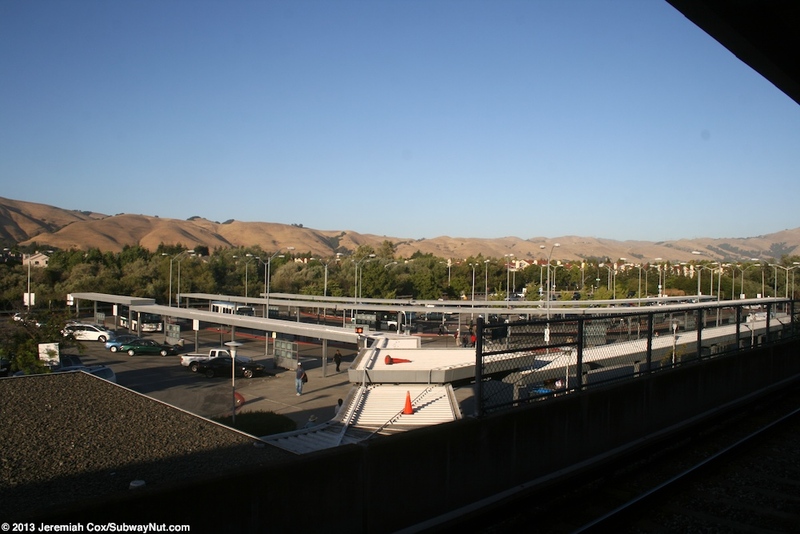 Connecting bus service from the station includes local AC Transit Routes plus 4 VTA Express bus routes to and from the Santa Clara Valley. 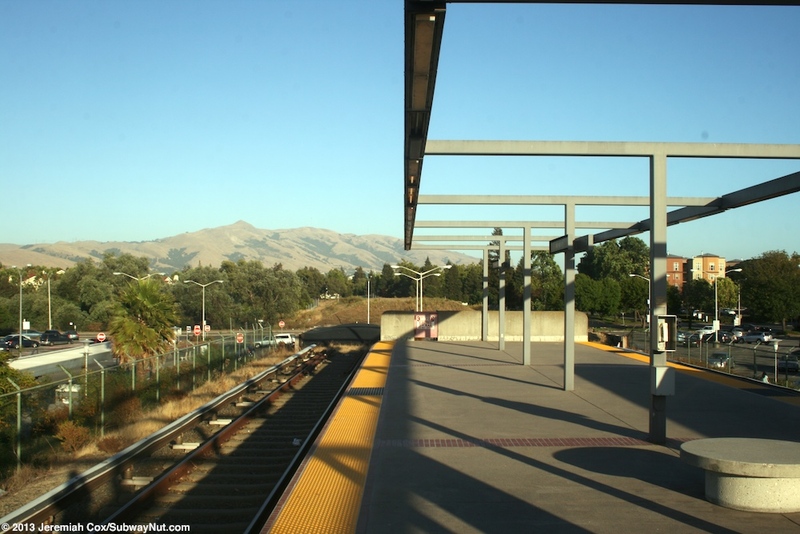 The station has a single island platform with tracks that ended at bumper blocks although are now removed because of the construction on the Warm Springs Extension. 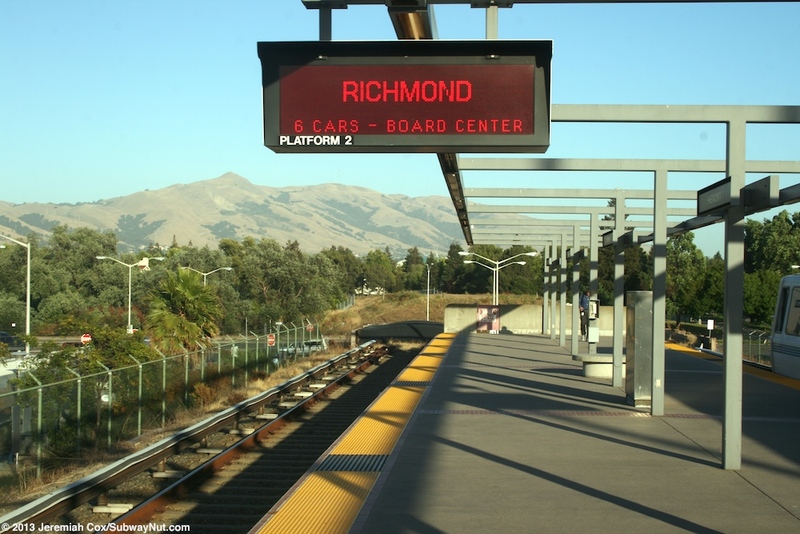 Trains use a diamond crossover before the station to reverse and change directions. 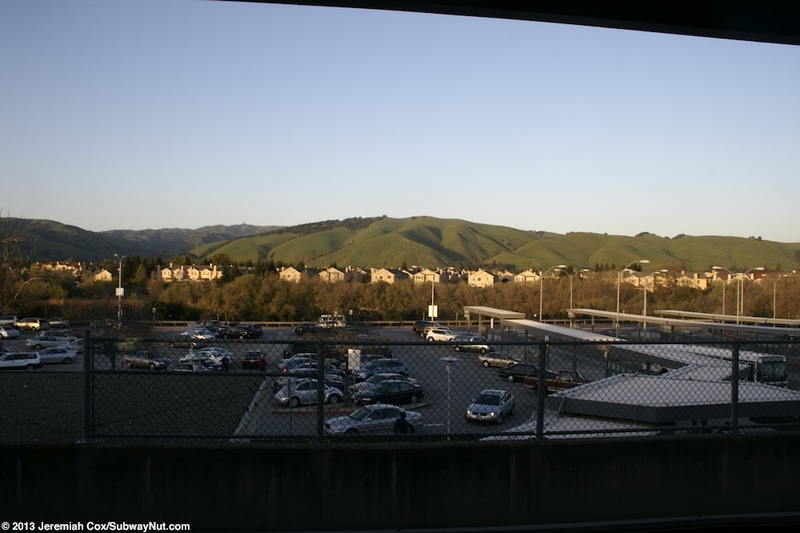 The station is located on an embankment with a single island platform surrounded by parking lots that contain 2,030 Parking Spaces. 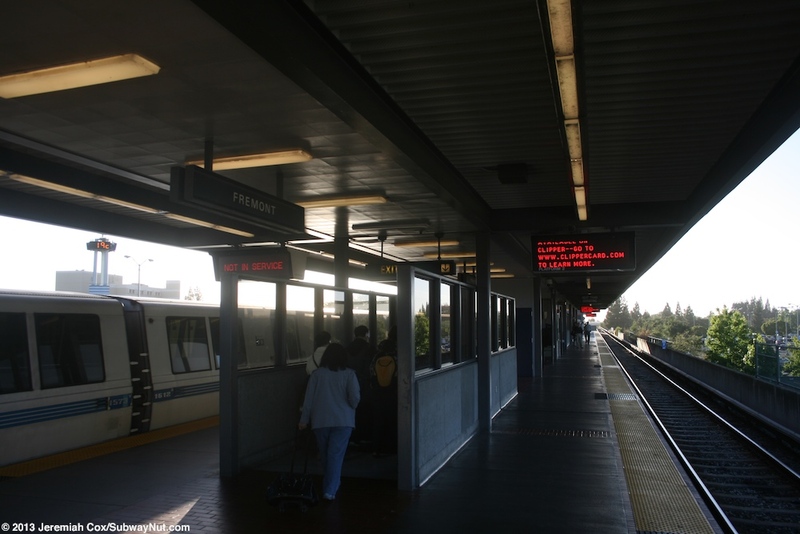 Two escalators, a staircase and an elevator lead down to a fare control area in the embankment beneath the station. 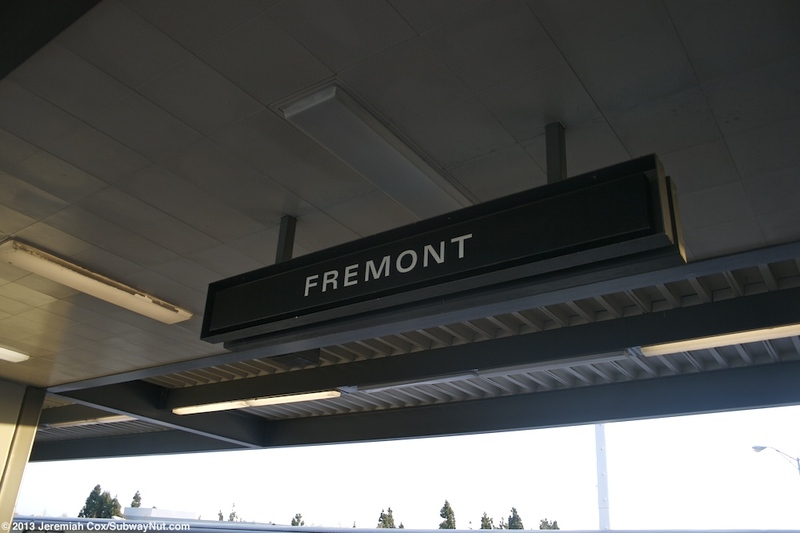 Originally there were fare gate only on the west side of this fare control area. 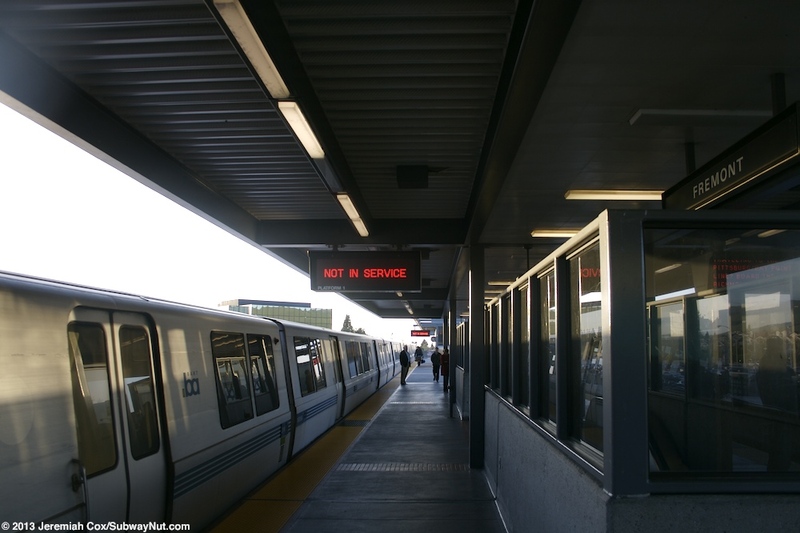 On April 7, 1980 a second bank of fare gates opened on the east side of the fare control area. 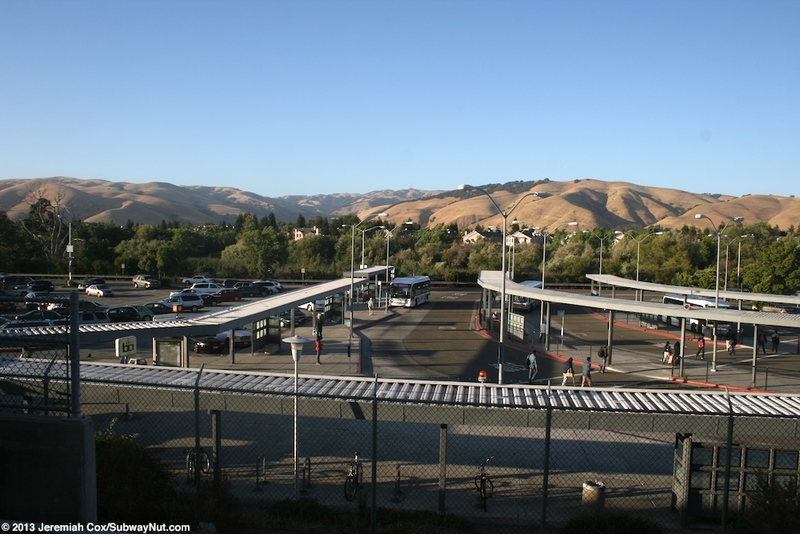 It is on this east side that is along to a large, three lane nearly 20 stop bus loop mostly covered with white canopies. 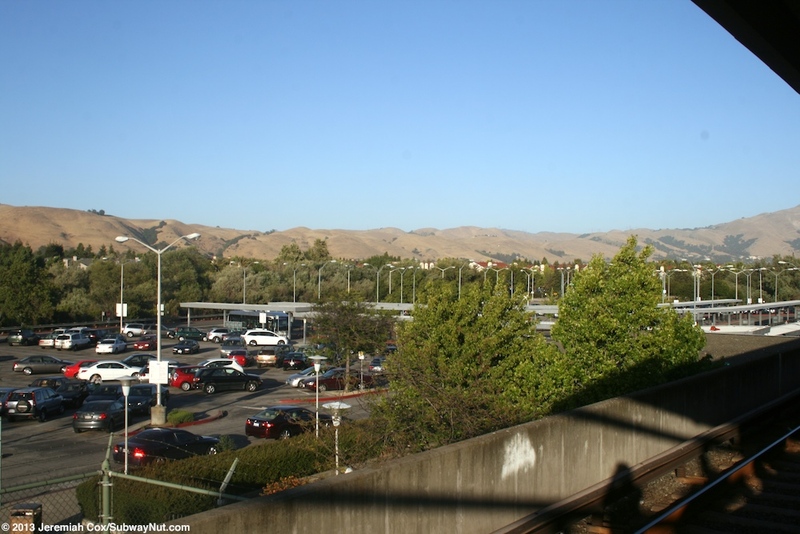 The bus loop is basically an interruption in the series of parking lots that surround the station.